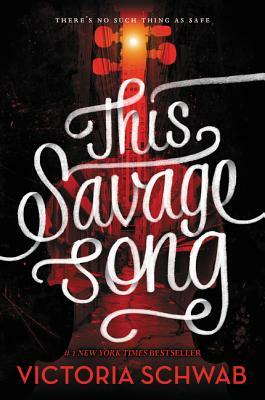 This Savage Song is a wonderful young adult novel set in a post-apocalyptic America, where the two main characters, August and Kate, must confront monsters, human and otherwise, their own fathers, who happen to be the enemy warlords of their divided city, and themselves, as they are drawn into irrevocable choices by the dark appeal of their own savage natures. But infusing this bleak world is an intense yearning for redemption, to bring good out of evil and beauty out of horror that lends this book a deeply-felt and wholly remarkable spiritual quality. The pacing is fast, the narrative enthralling, but it is the depths of the novel--its acuteness of moral imagination and perception--that will stay with you afterwards. My highest recommendation.